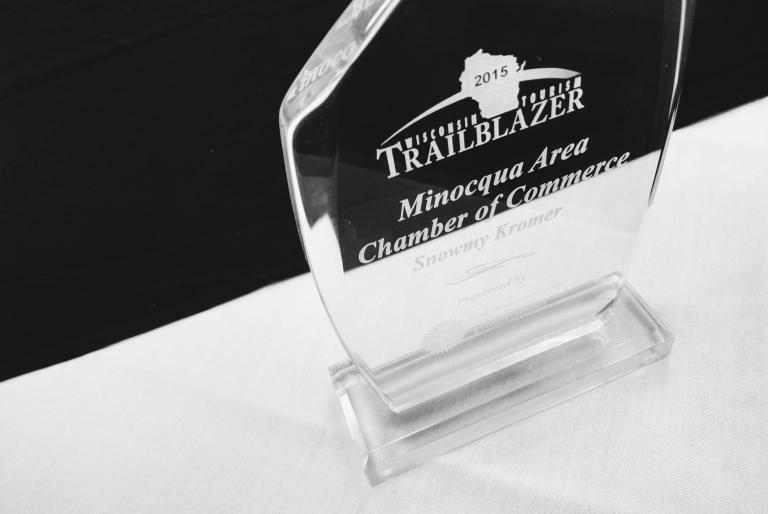 What Makes The Minocqua Area Special? Find Minocqua on a map, and it looks like there&apos;s more water to the town than land. 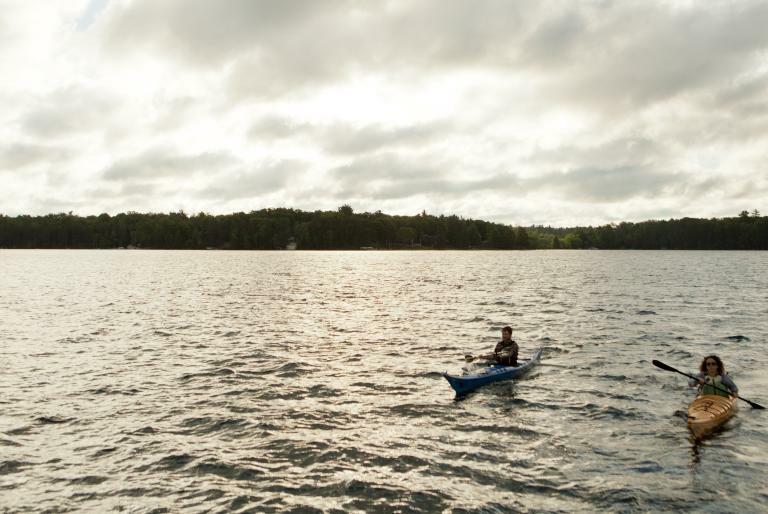 Minocqua and the neighboring communities of Arbor Vitae, Woodruff and Lake Tomahawk — which conveniently sit some three to six hours from Madison, Milwaukee, and Chicago — are filled with over 2,300 sparkling blue lakes, streams, and ponds. They are also snuggled into the mighty Northern Highland-American Legion State Forest. This means guests can easily enjoy an incredible array of activities, both on the shore and on the water. The Minocqua Area is the hub of the Northwoods. The Minocqua area features supper clubs, shopping, cafes, ice cream stands, outfitters, real lumberjack shows, the oldest amateur ski show in the United States, museums, and gaming. 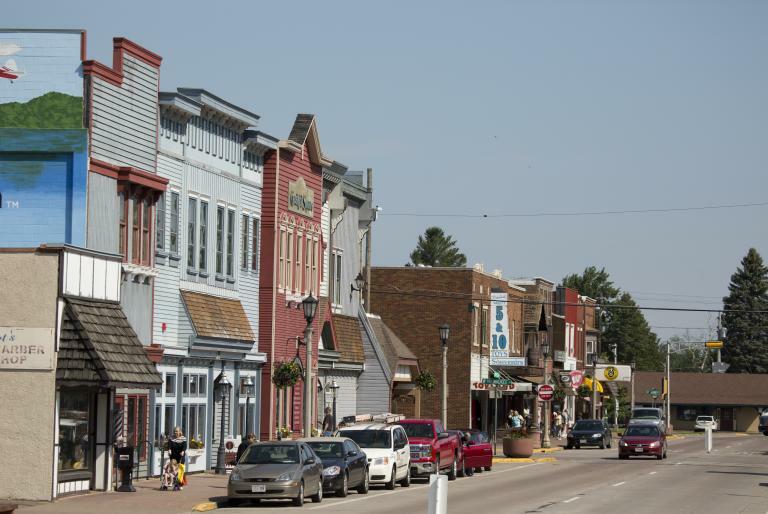 Minocqua is the ideal resort-area town. Popcorn and fudge-scented air hums with the buzz of speedboats and the putter of pontoons. Giggles and shrieks ripple from Torpy Beach, a popular park and playground along the main street. And families meander in and out of shops and gather around lakeside tables. 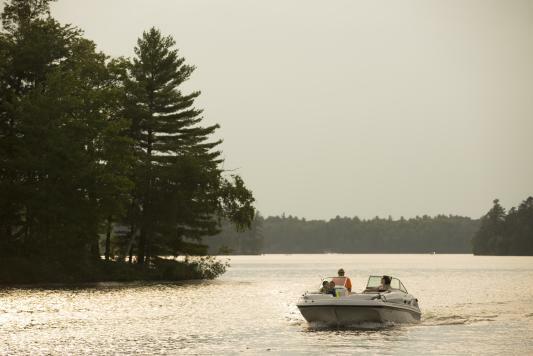 For a taste of the wilderness, head to the Willow Flowage Scenic Waters Area, southwest of Lake Tomahawk. 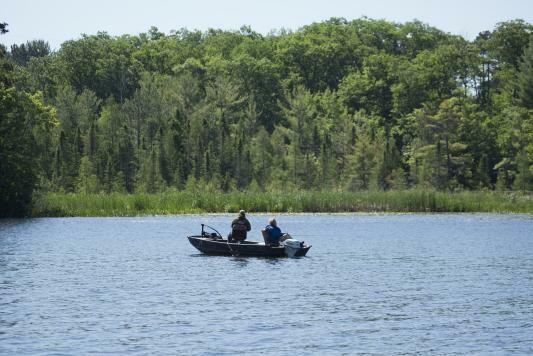 Anglers can try their luck snagging northern pike, muskellunge, or large and smallmouth bass, while paddlers can explore the flowage&apos;s numerous nooks and crannies. Over at the Bittersweet Lakes, a chain of four lakes separated by small isthmuses, it&apos;s time for an easy paddle-and-portage experience. Hundreds of miles of paved bicycle trails crisscross the Minocqua area, ducking in and out of the woods and sometimes paralleling the roads, offering innumerable cycling experiences. 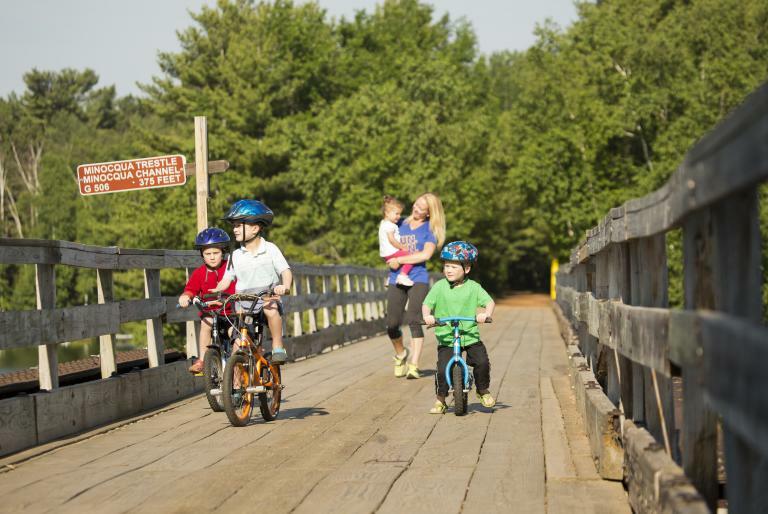 One of the more popular paths is the 18-mile Bearskin State Trail, a compact granite rail-trail that starts in downtown Minocqua and heads south, traversing through pine and hardwood forest and crossing 13 trestle bridges. It connects with the six-mile Hiawatha Trail, which continues south to Tomahawk. If hiking is more your speed, you’re in luck, as Minocqua boasts more than 600 miles of trail. For an easy walk, head a few miles north of Arbor Vitae to the North Trout Lake Natural Trail, a one-mile loop encircling a pretty black spruce-tamarack bog. The path also leads you along the Trout Lake shoreline. A little more challenging is the Star Lake Nature Trail, whose 2.5 miles roll up and down hilly terrain past Wisconsin&apos;s first tree plantings. With over a million acres of public forest and over 2,300 bodies of natural freshwater reservoirs, our area provides the perfect backdrop for whatever outdoor recreation relaxes you most. 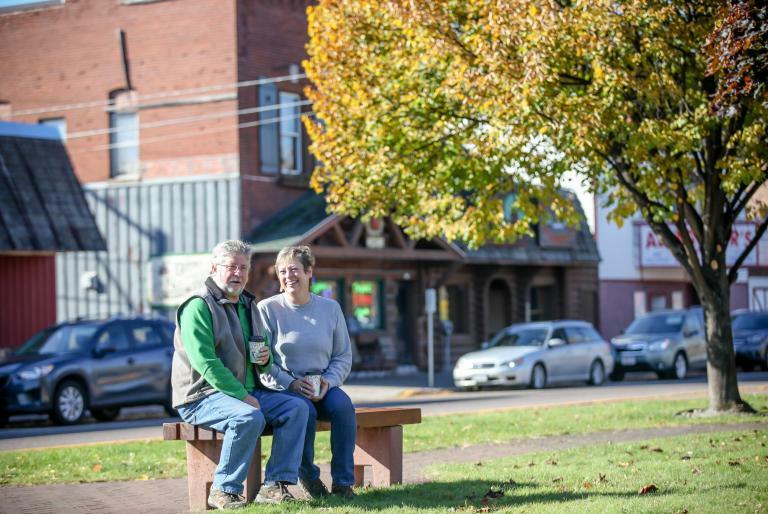 The Minocqua Area has grown into a flourishing tourist destination that draws people from all over the world. From the early by-gone lumberjacks and The Angel on Snowshoes, to World Class fisherman competing on our lakes and families spending their annual vacation at the same resort their grandparents visited, the locals and visitors of the Minocqua Area continue to build our rich history year after year. Tourists and locals alike call this place their own and have a special bond with the lakes, land, and people that love this little slice of heaven. We&apos;ve worked very hard to spread the word about our slice of Northwoods heaven and people are listening.We have also received some awesome awards and titles in the process. Many travel writers and bloggers have fallen in love with our area. Discover what them and some other well respected publications have to say about their time here. 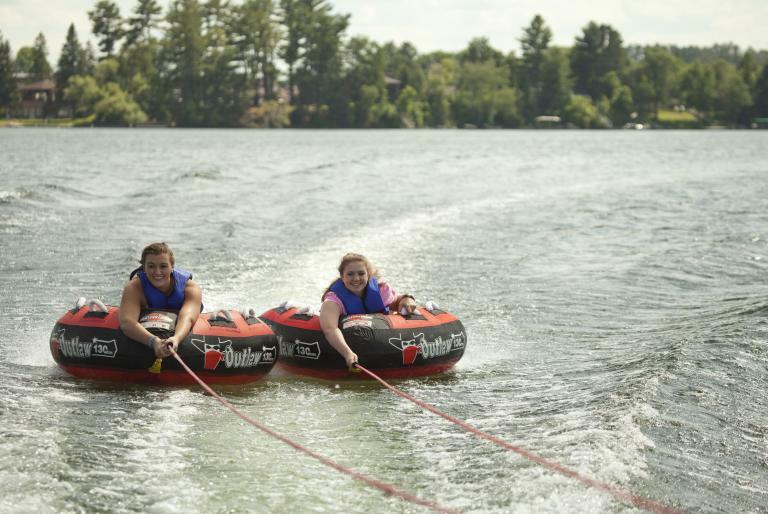 Get a free copy of our Minocqua-Area Guide. You can either download a copy from the Digital Interactive Guide by clicking the icon to the left, or you can fill out our form to request a copy to be mailed to you. The latest specials and incentives offered by Minocqua Area Chamber of Commerce members. Check out important employment information or view a listing of some of the available positions in the area. The Minocqua - Arbor Vitae - Woodruff Area Chamber office is located at 8216 Hwy. 51, just 1/8 of a mile south of the Minocqua Bridge. Stop in for area information and maps during office hours, or visit our 24-Hour Info Center, located outside. Check the weather before you leave on your trip Up North or watch and dream about your next vacation. 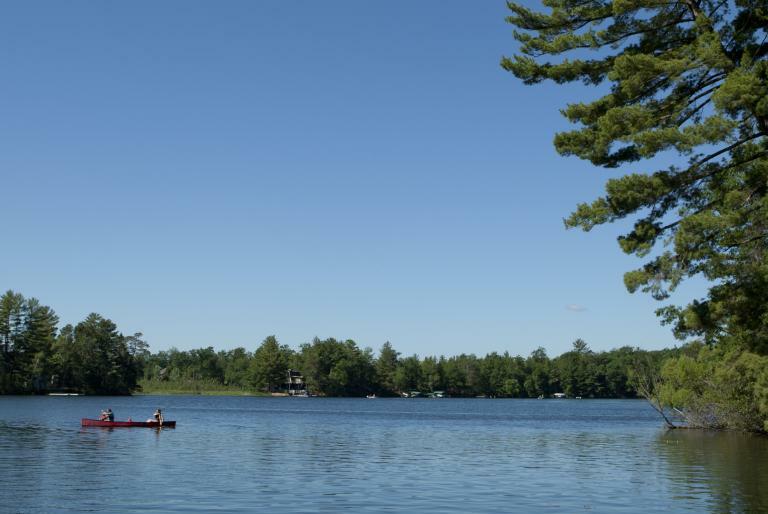 See for yourself why so many people have fallen in love with the Minocqua, Woodruff, Arbor Vitae, and Lake Tomahawk Area!